We got in 35 exciting entries and all of them were drool worthy and a treat to the eyes. We have the top 10 entries selected and sent to the next stage, being the poll. Wow... Nice to see the entries for the post.. Have voted dear..! lovley entries. an giant bear hug is waiting for you. Hi... My post has made it up for the Food for 7 Stages of Life event. 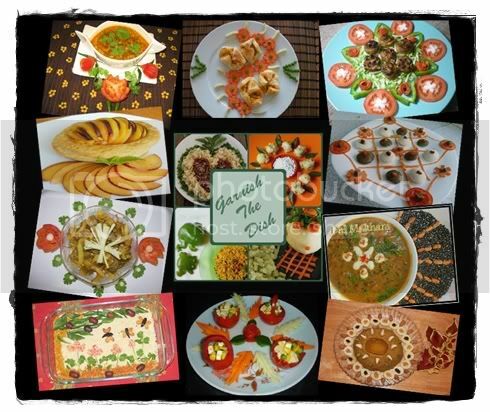 Go to http://sourashtrakitchen.blogspot.com/2009/10/roundup-food-for-7-stages-of-life.html and Pls vote for me . Beautiful entries, waiting for the winning entry. Garnish The Dish - The Award Goes to????!!!! Kadappa - A Tongue Tickling Sidedish!